Undertale is one of those indie gems that leave a deep mark on anyone who plays them. It’s also a great reminder that a game’s value is in the gameplay and not in the graphics. Undertale is a captivating RPG with multiple development paths and endings. We recommend at least three playthroughs – Neutral, Pacifist, and Genocide – to get a better understanding of what the game has to offer. If you already discovered all Undertale’s secrets, check out this list for ten alternatives to Undertale. Developed by Toby Fox, the creator of Undertale, this is as close as it gets. Deltarune is a spin-off of the original game, you might have noticed that the title is actually an anagram of Undertale. 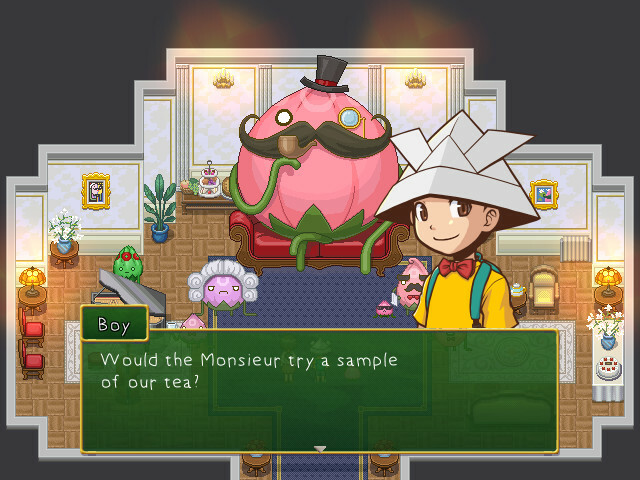 The game is very similar in gameplay and story. Despite the creator’s statement that Deltarune takes place in a different universe, players have reasons to believe that it is actually an alternate universe. Just like in the first game, you can decide how to end encounters. However, the combat system is based on Final Fantasy as opposed to Undertale’s which is EarthBound inspired. And did we mention that Deltarune is free to download? The first thing you should know about this game is that it’s not a kids friendly game. 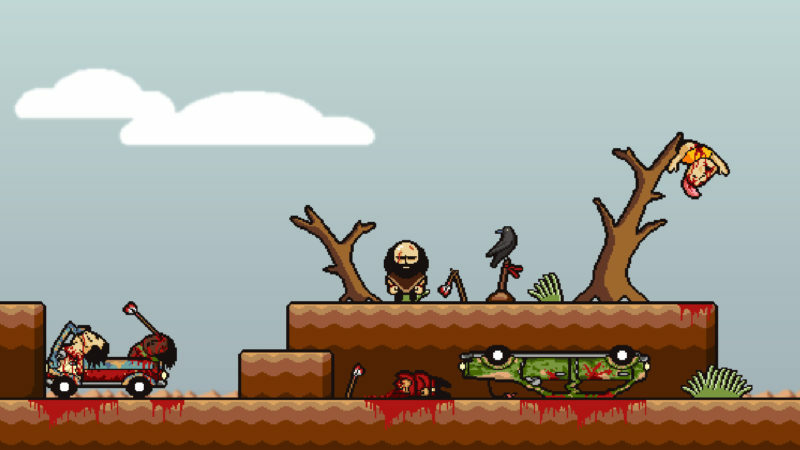 Don’t be fooled by the cute graphics, there’s nothing cute about LISA’s world. You will sacrifice your team members, let them die, and meet horrible characters. Every step of the way you will be asked to make difficult choices. The decision system is not based on good and evil. You are not the promised hero that saves the world. “A life ruining gaming experience” is among the listed game features and judging by the overwhelmingly positive reviews LISA fully delivers. This one is for the puzzle lovers out there. It’s also an extremely good game that is totally worth the time. Although Undertale and Portal are of different genres, we think that there are some common elements that put the games in a similar category. We mentioned the puzzles which are the primary component of Portal’s gameplay. Even the combat is puzzle based. Then there’s the unique atmosphere and the captivating story. Saying that the characters are remarkable is an understatement. They will simply get under your skin. Portal 2 has a co-op mode so you can find a buddy and go puzzle solving as a team. Rakuen is another indie adventure RPG that will melt your heart. The protagonist is a hospitalized boy who discovers the story of other patients. You will explore a fantasy world as you solve puzzles and learn more about the characters. There is no combat but there are plenty of cleverly designed dungeons and encounters that will test your problem solving skills. Each character the boy encounters has an emotional story to tell. Beware! Feelings with hit you like a truck! Experience the adventures of a ninja in this 2D action adventure stealth game! 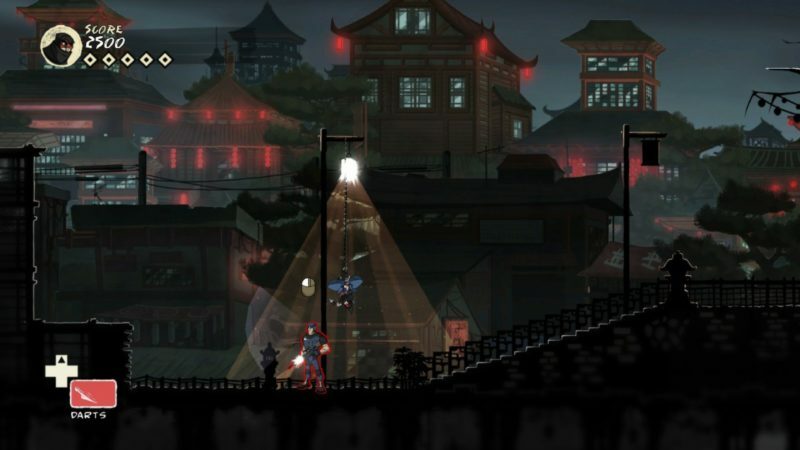 Mark of the Ninja has everything you would want from a stealth based game. You won’t rush sword in hand to decimate your enemy. Instead, you will patiently observe, take notice of your surroundings, and decide when it’s the best moment to strike from the shadows. Just like in Undertale, you can finish the game without a single kill or take down anyone who stands in your way. The content is enriched with hidden objectives and collectibles. You can play using a gamepad or customized PC controls. Awfully cute bunnies need your help. How can you say no? 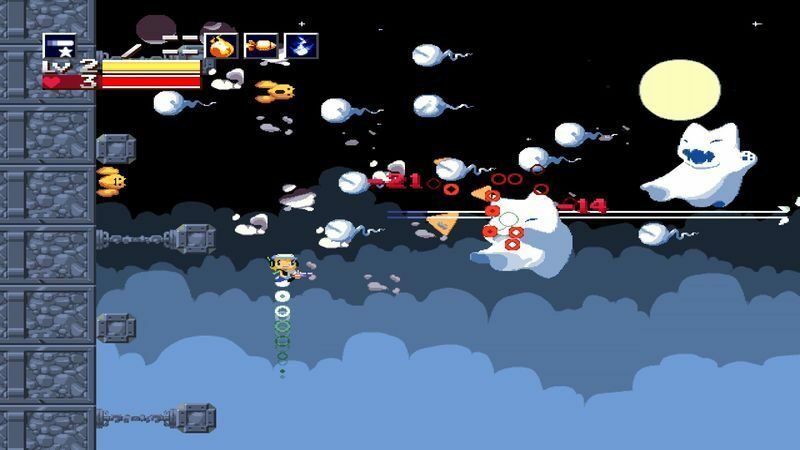 Cave Story is an action adventure platformer that pays homage to vintage 16-bit games. It has fast paced action, more than 20 boss battles, several weapons that can be upgraded, and multiple endings. It doesn’t offer Undertale’s flexibility but it comes close with more than six game modes available. There are also secrets to discover. The game offers a healthy amount of content and a heartwarming story. This is another game where decision making is the central gameplay component. 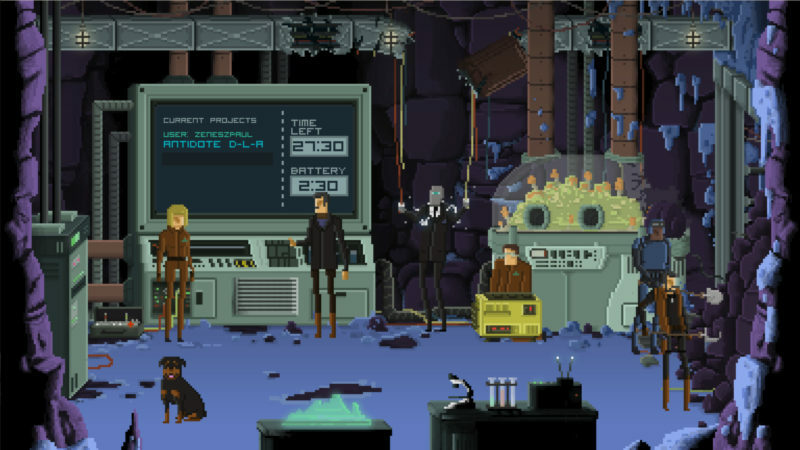 Gods Will Be Watching is a point and click adventure game that tells the story of Sergeant Burden and his squad. Burden is a fitting name as the player will be burdened with choices. Will you put your crewmen’ lives above anything else or sacrifice them for the greater good? Each choice has a consequence that you will have to deal with and endure the gods’ judgment in case of failure. Puzzles spice up the gameplay. The Stanley Parable is a narrative driven first person game where you will be faced with many decisions. There are no bosses to kill and no combat. The entire experience is based on exploration and choices. The narrator is always with you and he comments your decisions. Each decision leads to a different path. There are multiple endings and the beauty of the game lies, just like in Undertale, in discovering them all. The game has a demo so you get the chance to try before you buy. If uniqueness is what you are looking for, then you just found the right game. Story-wise, OFF may be one of the most baffling games ever. It has three different endings and it’s strongly recommended to experience all of them. The game has symbolism at every step and it’s up to you to interpret it. Gameplay wise OFF is an RPG with a wealth of puzzles of varying difficulties. Some you will figure out immediately while others can find it quite challenging. If you decide to give OFF a try you will be glad to know that it’s free to play but you will have to do a bit of Internet searching. The official website is in French but luckily, if you scroll to the end of the page, you will find download instructions in English. If you think life as an immigration inspector is boring, think again. 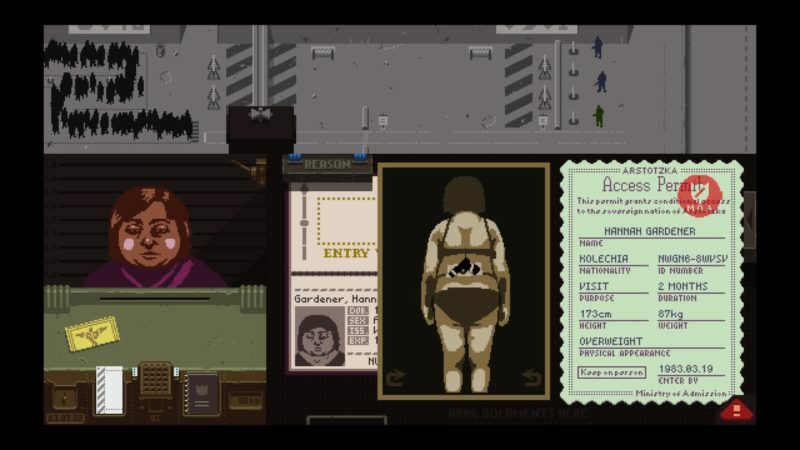 That’s what you will be doing in Papers, Please. The war is over but foreign travelers may still enter your country with bad intentions. You will use the provided tools to analyze their papers and ultimately decide who passes and who gets arrested. The best part of it? The rules are constantly changing and you will also have to deal with decisions and moral dilemmas. You will have to decide how to spend each day’s paycheck and make the best decisions that will affect not just you but also your family. The in-game atmosphere spells doom and gloom. The fictional game world, the country of Arstotzka, is a communist state where citizens live in a constant state of fear. This game also has multiple endings. We have listed ten alternatives to the highly popular Undertale. If you do know of other games that are more fitting for this list, do let us know in the comments below.